Poland,1941. Sixteen-year-old Hertzko Haft is sent to Auschwitz. Separated from his family and his fiancee, he draws a will to survive from the thought of seeing them again. His ability to survive, though, comes from something else - a unique talent. When Haft is forced to fight against other inmates for the amusement of the SS officers, he knows the price of a loss. But his extraordinary physicality and skill make Haft a formidable boxer, and he manages to escape death. As the Soviet Army advances in April 1945, he manages to escape the Nazis as well. After the war, Haft emigrates to the US and earns a living as a heavyweight prizefighter. But his new-found fame fails to reunite him with the fiancee he left behind in Poland. Finally, after losing to heavyweight champion Rocky Marciano in 1949, Haft retires from the ring. Soon after, he is married, and building a new life for himself in Brooklyn, New York. 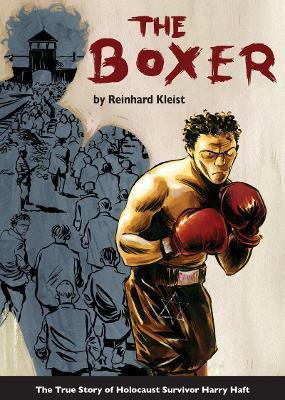 The Boxer is a gripping and complex graphic novel - a powerful and moving story about love and the will to survive. Reinhard Kleist is a world-renowned comic book artist and graphic novelist. In 1996, his graphic novel Lovecraft was awarded the most prestigious German comics prize, the Max und Moritz. In 2004 and 2005, he received ICOM prizes for Scherbenmund and The Secrets of Coney Island. He has also illustrated books by China Mieville, H.C. Artmann and J.G. Ballard; record covers for Terrorgruppe and Bear Family Records; and, on a large scale, various house facades around Berlin. His graphic biography Johnny Cash - I See a Darkness has been translated into several languages and, in 2007, it was awarded the Peng Munich Comics Prize, as well as the Frankfurt Book Fair's Sondermann prize. In 2008, it also received the Max und Moritz. In January 2013, Kleist became the first comic book artist to be honoured with the B. Z. Kulturpreis for his contribution to Berlin's cultural scene.